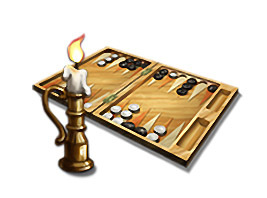 Dear friends, the time has come again when a new version of Backgammon Masters has been uploaded to AppStore and Google Play and patiently waiting for a release. Let us tell you what new and interesting features you will find in this version. Starting from the interface. The game will no longer have divided sections for single player and online game. To enter the lobby click the “Play” button as usual and witness selection between both game modes. Furthermore, certain online game elements such as chat and profile icon will be available in both modes. You can now easily play against AI while participating in the chat. If you follow tournaments then from now on you will be able to spectate current active games in each tournament’s section. In the future we plan on enabling these spectator options for historical games as well. Along with the interface changes several critical bugs such as crashes have been fixed to make the game more stable. This update is the first step towards grand changes. Step by step we will keep adding more and more functionality. And thanks to your continuous support Backgammon Masters will be able to become favoured by many backgammon players world wide!